I would guess that more money from the domain industry flows through Escrow.com than just about any other company (Google, Yahoo and similar giants aside). In addition to its domain business, Escrow.com is also the recommended escrow service of Ebay, Cars.com, and other companies whose customers have large transaction. The company continues to grow, and several months ago, the company announced that it had surpassed $1.5 billion in secured transactions. Despite this milestone and these endorsements, I think Escrow.com remains relatively unknown. I often do business with people who haven’t used Escrow.com before, but based on the company’s reputation, they don’t hesitate to create an account and transact. Being able to advertise in a Super Bowl commercial would certainly change this. 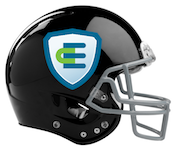 Escrow.com is participating in a contest that the company hopes will lead to a free Super Bowl commercial, and they need our help to get it done. Intuit Quickbooks is sponsoring the “Small Business, Big Game” contest, and the winning company will receive a professionally produced television commercial that will air during the Super Bowl. There are three rounds to this contest, and it is currently the first round. People can vote for Escrow.com once per day until the end of September. In late October, 20 finalists will be chosen out of all entries, and another round of voting will follow. In November, four finalists will be chosen, and again, we can vote for the winning submission. Not only has Escrow.com been a big supporter of my blog for the last several years, but the company is instrumental in helping me close deals quickly and securely. Here’s hoping they win the Super Bowl commercial. I just voted and I suggest everyone to do the same to improve the chances to give more exposure to the domain industry through one of our most prestigious actor. As a marketing guy you should know that Escrow has no chance in winning this. Intuit is going to choose what it considers to be a real small business not one that has transactions of 1.5 billion dollars. The winner will be some small pet shop or something because that is what Intuit’s main target is when it comes to their accounting and website services. I guarantee it will be some really small business and when Intuit’s marketing team realizes what a waste it will be to make a commercial for this really small business who’s target market is nowhere near what the Super Bowl demographics are they will end up splitting up the commercial and promoting 5 or 10 small businesses with Inuit’s logo blasted all over the place. I love your service and agree with you and would love for you to win but this contest is not the promotion of the contest winner but the promotion of Intuit and their target market is Mom and Pop style companies and unfortunately that is who they will choose. It’s simple marketing 101. Thanks Elliot. It is a nice article and this will help create awareness. Please, I sent you an email yesterday and I need your reply. However, I will post this on Namepros.com right away! Voted and will vote more. I personally do not think Escrow.com would benefit from “weekend” advertising (Escrow.com is closed 75% of the week as it is). At the time of this writing, their site also states in bold RED lettering: “Escrow.com will be closed Monday for Labor Day”. Strange, no other US financial site like: Chase, BofA, Wells Fargo, plus other escrow service sites have any mention of being “closed”. Of course, the other institutions probably are not around either, but their websites DO NOT discourage people from at least starting and initiating a transaction! I’ve lost a number of domain sales because of Escrow’s red letter “closed” warnings dampening the buyer’s enthusiasm. More advertising is not the answer. Escrow.com simply needs a more open and inviting site to assist buyers and sellers in other parts of the world. Thank you for the comment. We want our non-US based customers to be aware of the national holiday so they are not concerned or disappointed when a payment is not released.